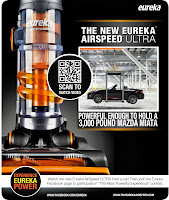 Eureka’s new AirSpeed ULTRA vacuum is powerful enough to hold a 3,000 pound Mazda Miata! – and they’re ready to show it off, showroom style! With LCWA’s help, Eureka AirSpeed ULTRA is rolling into 25 Mazda dealerships across the county, where it will be on display to customers through November. Signage placed with the vacuums announces Eureka’s surprising Mazda Miata car hold video to customers. It also encourages customers to watch the video and participate in Eureka’s “The Most Powerful Experience” Facebook contest - where they can win their very own Mazda Miata MX-5 Sport. Many dealerships are going the extra mile, and giving the vacuum away to a lucky customer to drive additional engagement. 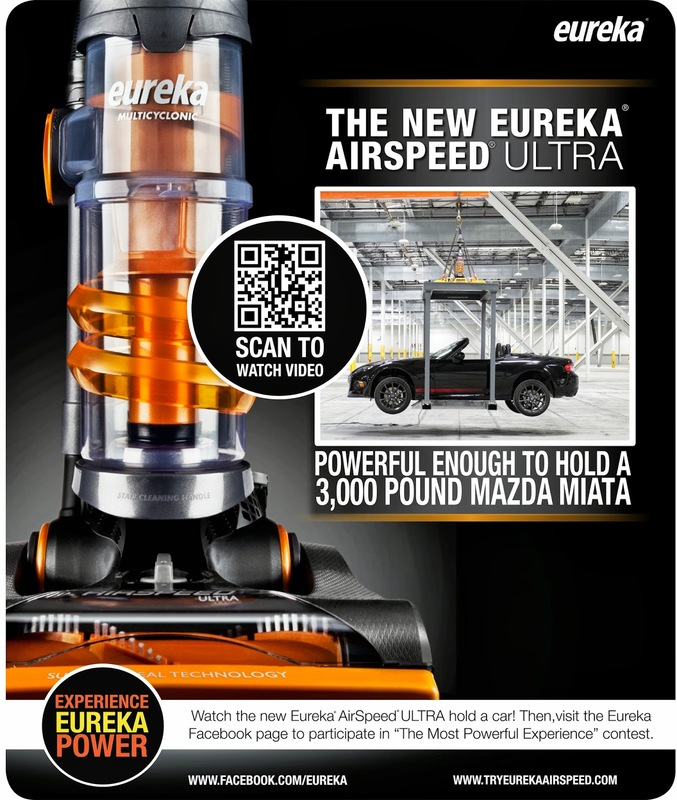 For an example of the excitement Mazda and Eureka are generating locally, check out how Jim Ellis Mazda in Atlanta is promoting the vacuum and video on its Facebook page and with local media. The Mazda Dealership Program is a unique way the LCWA team was able to leverage an interesting advertising video and give it social and grassroots support to extend a “powerful” new product message.